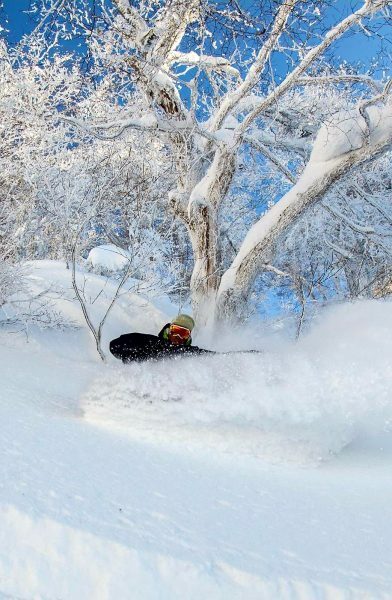 Welcome to the second part of our “In the Powder” series were we introduce you to some Nozawa locals and regulars and get their inside tips on getting the “good oil” in Nozawa Onsen. This time lets meet Hugo san a Snowboard Instructor with the Nozawa Holidays Snow Sports. Hugo originally hails from Spain where he grew up riding the Alps across Europe and fell in love with the mountain life. The lure of the famous Japanese powder called him across the other side of the world where he fell into a job and fell in love with the little town. We sat down for a Coffee with Hugo san too and had a hard chat on what and where he loves most in Nozawa Onsen and got his Nozawa Local Tips. What do you do in Nozawa Onsen? 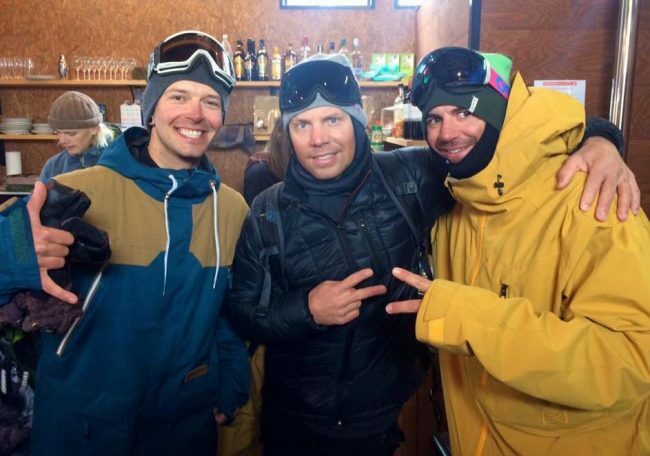 Skier or Boarder or something else? How many seasons have you been in Nozawa? 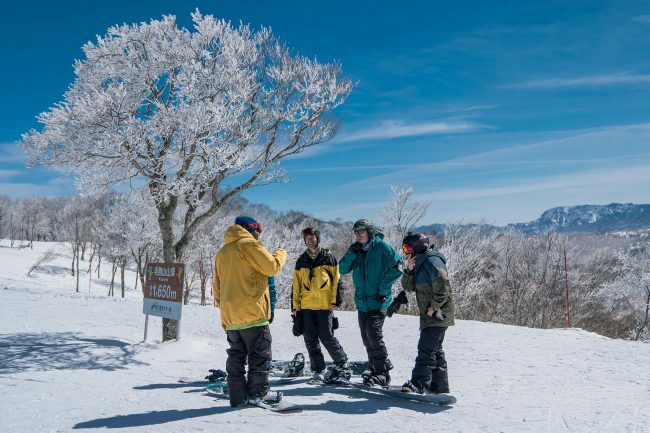 Why did you chose to come to Nozawa over other resorts? Do you speak much Japanese? Hugo san doing what he does best sharing his love for the mountains and sliding down them. What is your favourite and why? Bar : Neo Bar , the coolest bar in Noz , best vibe . Can you tell us something unique about Nozawa Onsen ? The combination of the mountain , people, onsens,… definitely makes of Nozawa a unique place in this planet . What is your favourite day trip out of town ? Drive to Nojiri lake thru Madarao and Myoko . Something unique that people should try when visiting Nozawa Onsen ? Words of wisdom for anyone coming on Holiday to Nozawa ?